Stock market apps are important, and every stock market investor understands the importance. For stocking, there is need to be in touch with the market and this may be a little difficult to deal with brokers on a daily basis. Therefore, you should be now happy to find stock market apps. 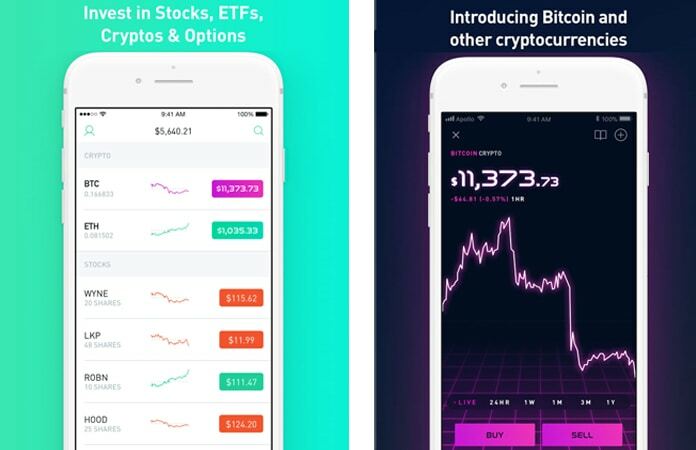 These apps are handy, and you are able to enter your own trades and related data and can understand the procedures easily. So here are the best stock apps for iPhone and Android. We are providing you the best stock apps, and you will be able to pick any app from following. Have a look at all following apps. 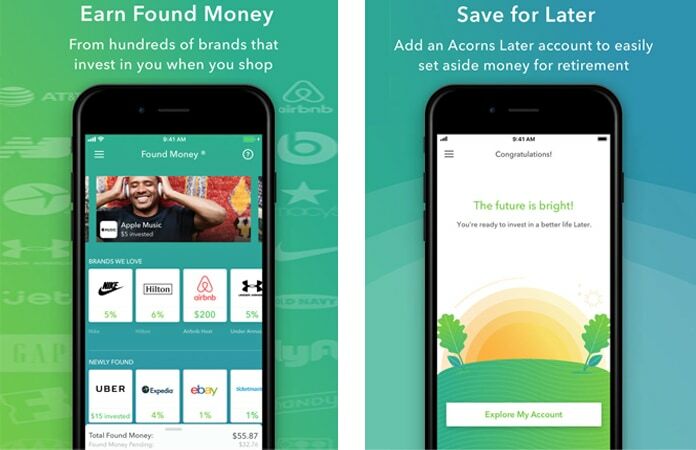 Acorns is a brilliant app which allows you complete access to a stock market of various countries. This is a great app which allows you to check histories and other market related important news on your iPhone and iPad. You can search and take benefits from ten years of history of the stock market. In a free version of this app, you can access to 27 countries of this world with their complete stock shares market history. To make its interface easy and understandable, there are many widgets in this app which allows you to go to any required point easily and quickly. You can customize your own settings and unlimited access to background stock alerts. You can also check the other countries currency on your stock market rates in your local currency value to understand the market value and taking decisions to invest. Robinhood is another fantastic app which is wonderful and helpful for your stock market dealing needs. You can watch and observe quotes, charts, historical data and other kinds of complete information in your app. Additionally, you will be able to take advantages from the data of the day’s high and low, bid size, short ratio, P/E, EPS estimates, one-year price target and can also sync your Portfolio Watcher on multiple devices. You can set your notifications just according to your personal needs and can be notified when your mention standards hit by the market changing values. It will help you to know the situation and do necessary procedures in time. 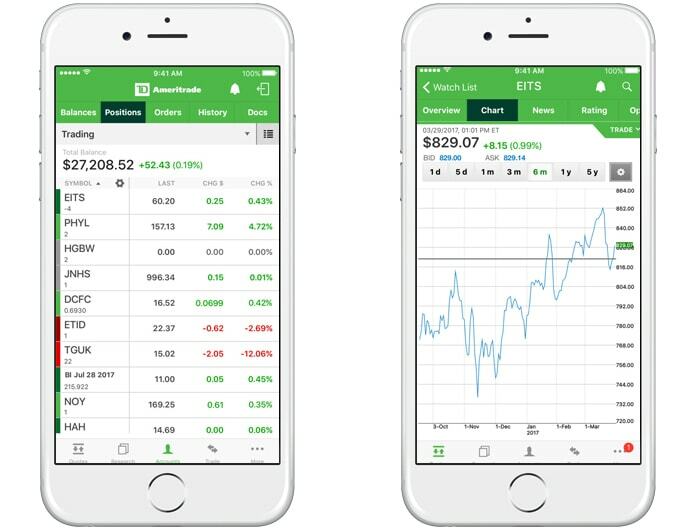 TD Ameritrade Mobile is another superb app and widely used all over the world. It is a wide trading app, and it is enough to fulfill your needs related to stock market and its positions. 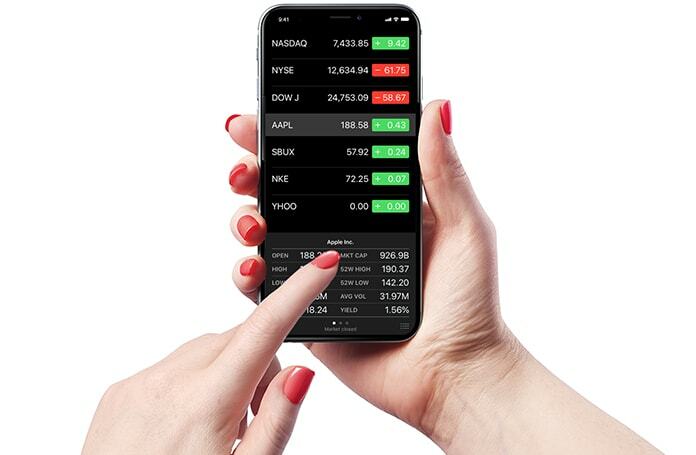 This app can help you to understand and know the changing positions of the stock market and making plans on your own iPhone. The user interface of this app is very straightforward, and anyone can understand and use it efficiently. You can customize your dashboard and can set it to see your required statistics on your mobile screen. You are also able to get researches data, get advice and watch related helpful videos. In short, this is an excellent app which let you know everything which is needed for your successful stock market position and investments. One of the best stock apps for iPhone and Android is Yahoo Finance. This app is available for free and it is one of the most reliable stock market apps for iOS and Android devices. Yahoo Finance allows you to access real-time stock information and investment updates to stay on top of the market. 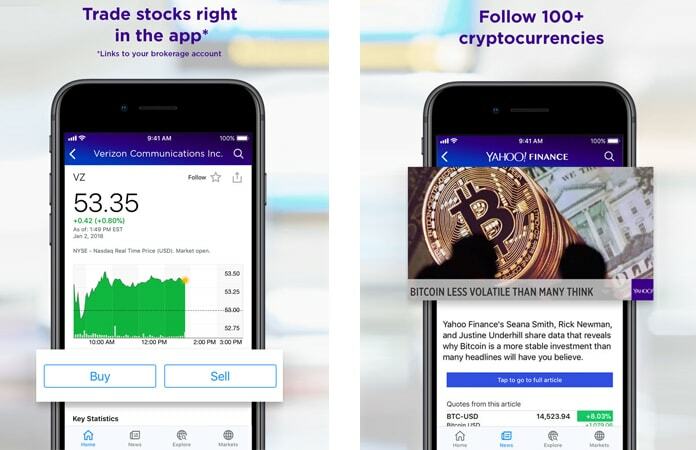 If you are looking for a stock market app for your iPhone, iPad, or Android device and you are not very interested in pro features, download Yahoo Finance on your iDevices. Buying and selling stock has never been easier. All you need to do is to enter your own stock trades through your favorite stock market app or stock broker’s website.